Community gardens are a blooming pastime in the United States, with 2 million more households participating since 2008—a 200 percent increase of green thumbs across the nation. The seeds of community gardening were planted in Sheffield, England over 300 years ago, when allotments (as they’re still referred to there) were rented out by estates to tenants who used them to produce food for themselves and their families. But the modern-day popularity of allotments took off during the 1930s when, faced with mounting unemployment and its consequences, allotments were used to provide both jobs and food, mitigating some of the effects of that decade’s economic recession. This use of allotments for wider social good was supported by the British government, but was based on a program begun by the Society of Friends—the Quakers—in 1926 in South Wales. By 1932, 61,000 people had benefitted from it; in 1936, the value of the produce that year alone was estimated at over £1,000,000 (equivalent to $105 million today). By the time World War II broke out, allotments in England and Wales totaled 740,000. The British government, continuing to build on the work of the Quakers, launched its Dig for Victory campaign, encouraging people to grow their own food to help sustain the country through the uncertain war years. By 1942, allotments totaled 1.4 million, not including uncounted numbers of home gardens. Allotments are still popular in Britain and are viewed as a keystone to sustainable living. So what’s behind this flourishing 21st century interest in harvesting vegetables from your own local plot instead of a grocery chain store? The answer might be found in a 2012 National Center for Biotechnology Information study on community gardening, which concluded that it improves mental and physical health, family relationships, dietary intake and food insecurity. Results of the study included a 66 percent post-garden increase in adult vegetable intake of “several times a day,” while children’s vegetable intake of the same frequency increased by over 40 percent, and regular anxiety about running out of food, without having money to buy more, dropped by 28 percent. Given these results and the Brits’ success with the use of community gardens during periods of austerity, what role could community gardening play in modern-day America, particularly given the country’s increasing rates of food insecurity and food deserts? Pockets of support for the idea have been cropping up increasingly across the country in recent years. As reported previously in NPQ in its nonprofit newswire, several nonprofits work with refugee populations—who often bring agricultural skills with them—on programs that include community gardening, helping them to become part of their new community and as well as providing them with healthy food. 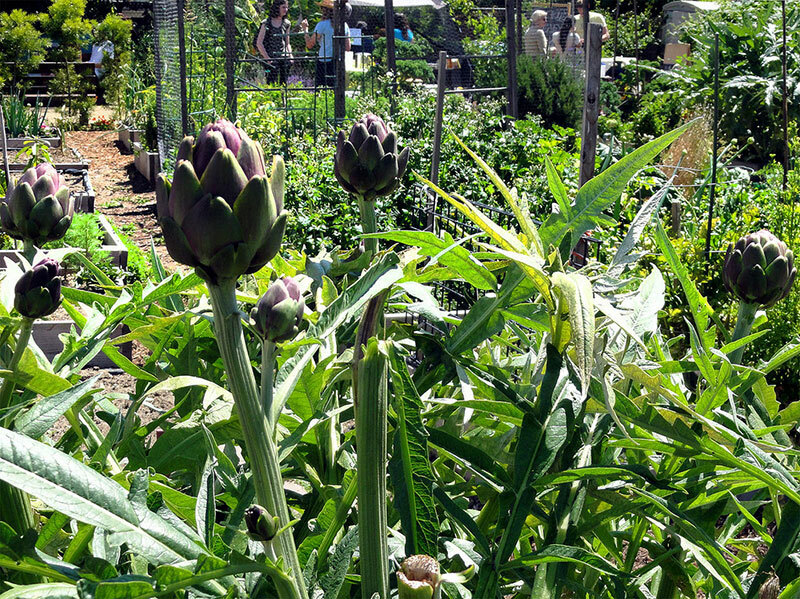 The state of California passed a bill in 2013 that offers tax reductions to owners of vacant property who use their land for community gardens for at least five years. Corporations are also supporting the movement, offering grants specifically for community gardening projects. Ambition appears to run in the Musk family, as Big Green’s CEO seeks to bring learning gardens to every school in the country.